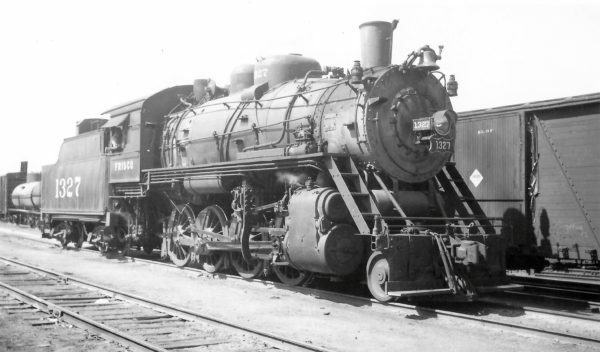 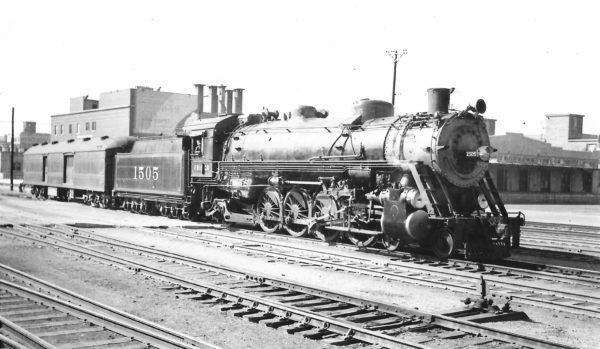 4-6-2 1064 (before rebuild) at St. Louis, Missouri in May 1935 (Arthur B. Johnson). 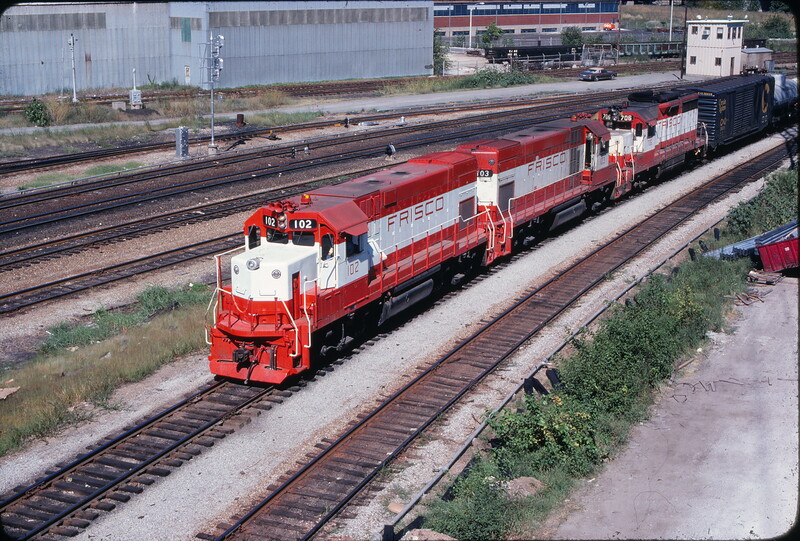 GP15-1s 102 and 103 and GP35 706 at St. Louis, Missouri on August 20, 1978 (John Picarelli). Railway Post Office 202 at Springfield, Missouri on October 22, 1967 (Arthur B. Johnson). 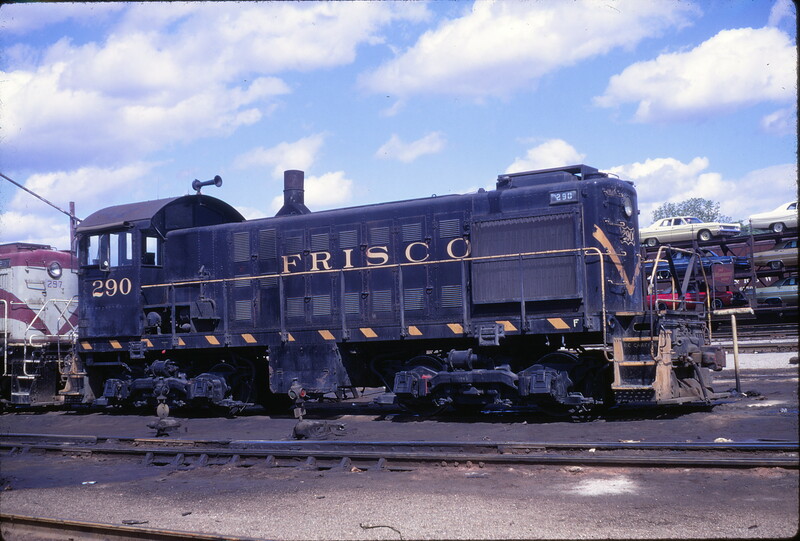 SW1500 320 at St. Louis, Missouri on November 9, 1968. 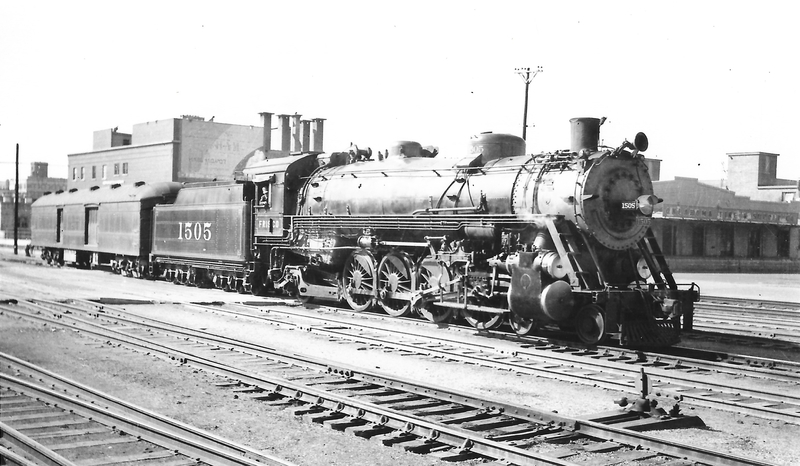 4-8-2 1505 at Tulsa, Oklahoma on April 2, 1939 (Arthur B. Johnson). 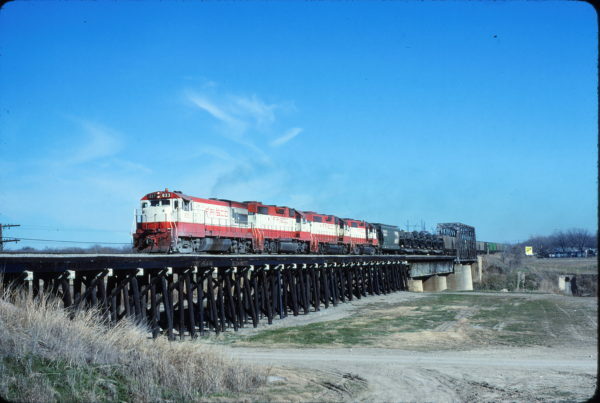 U30B 833 and GP38-2 458 at Fort Worth, Texas in January 1981 (Bill Phillips). 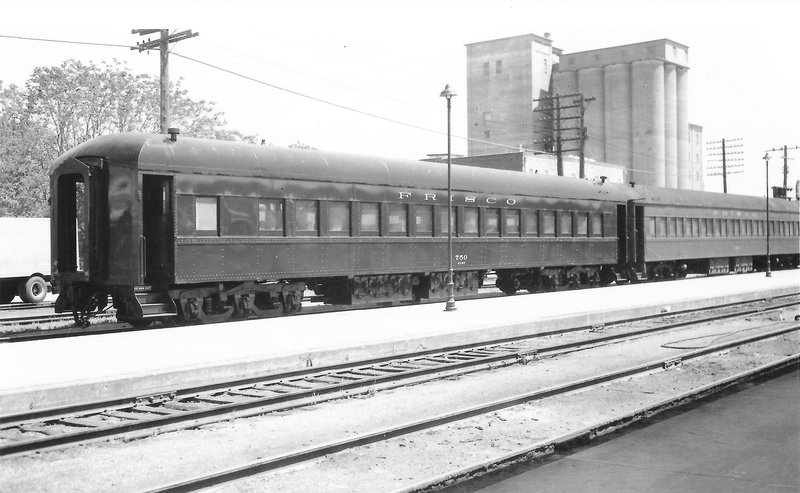 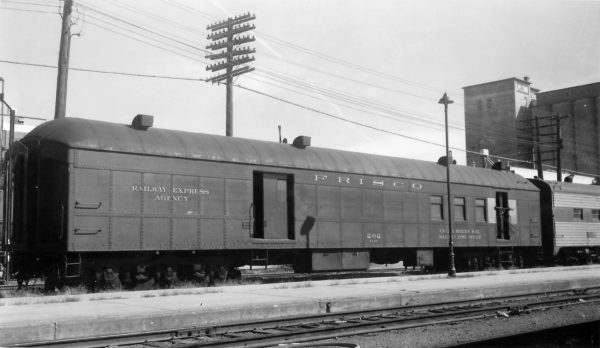 Chair Car 759 at Springfield, Missouri on May 1, 1960 (Arthur B. Johnson). 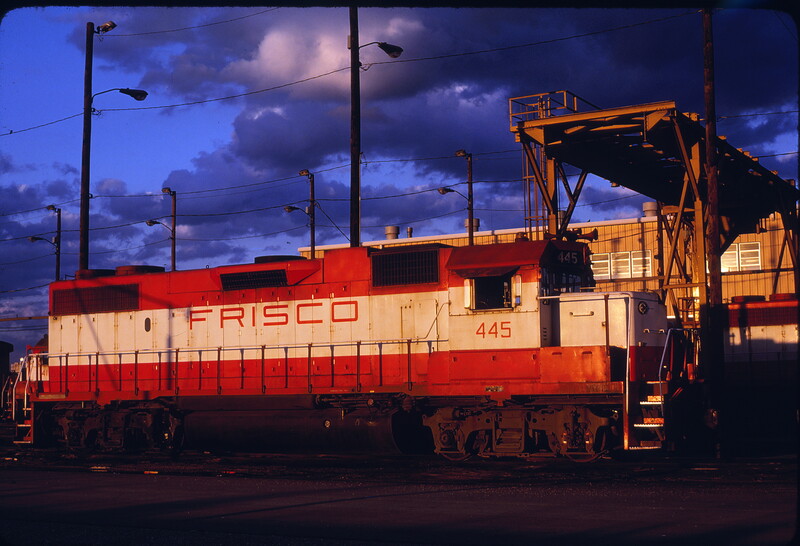 GP38-2 445 at Tulsa, Oklahoma on May 16, 1980 (Bob Graham). 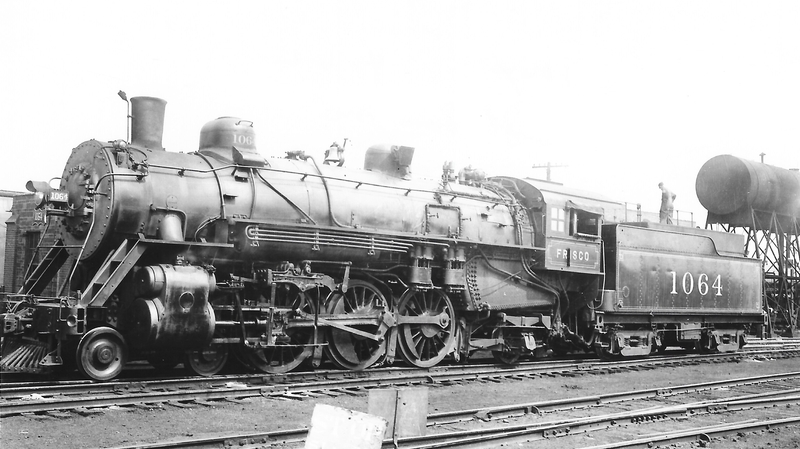 2-8-0 1327 at Springfield, Missouri on September 25, 1948 (Arthur B. Johnson). 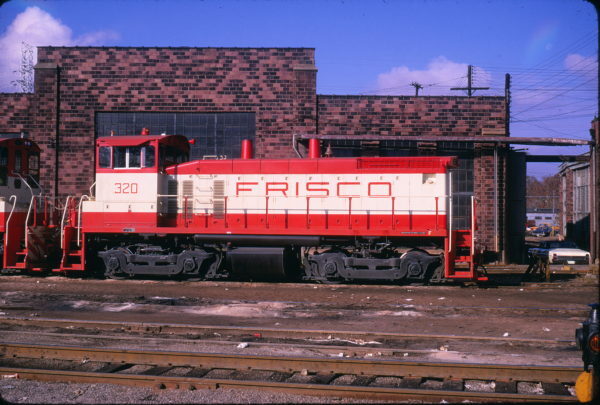 S-2 290 at St. Louis, Missouri on May 9, 1969 (Richard Wallin).